The health care prices are so high, it’s questionable whether it’s even moral. How does the richest country in the world have the one the poorest healthcare systems in the world?! I sat in Children’s Hospitals waiting room for 4 hours before being seen by a nurse who washed the wound and applied a butterfly bandaid in about 15 minutes. I later received the bill for $1,300! For a bandaid! Is that ethical? Is this ok? No. Why do we have to think twice about seeking medical care when our children hurt themselves? That’s not moral and it’s not ok from the richest country in the world. Our healthcare system is so bad that we have to rely on health insurance to help us pay the insane costs that doctors over charge us so they can buy new Mercedes Benz’s and McMansions. That’s why health insurance is so important for us..
We are only one accidental medical emergency from financial ruin so another unethical doctor can overcharge us and reap the profits. Unfortunately, health insurance has become so bad that it basically covers nothing unless you have a major medical crises like a car accident or heat attack. With a $7,000 deductible that’s about all it’s good for, but we have to get it for now, to pay for those “possible” emergencies. So for now, health insurance is important. Even though it won’t cover much it’s a safety net for critical emergencies that could financially wipe you out. The best way to save for medical emergencies is an HSA plan since we are on the hook anyway in the event of a medical visit because health insurance in the US is so bad. An HSA allows you to save for medical expenses tax free up to an extent. You should always being saving money in your HSA for medical costs as long as you can afford it. However, the best way to avoid the costs is to prevent them in the first place. 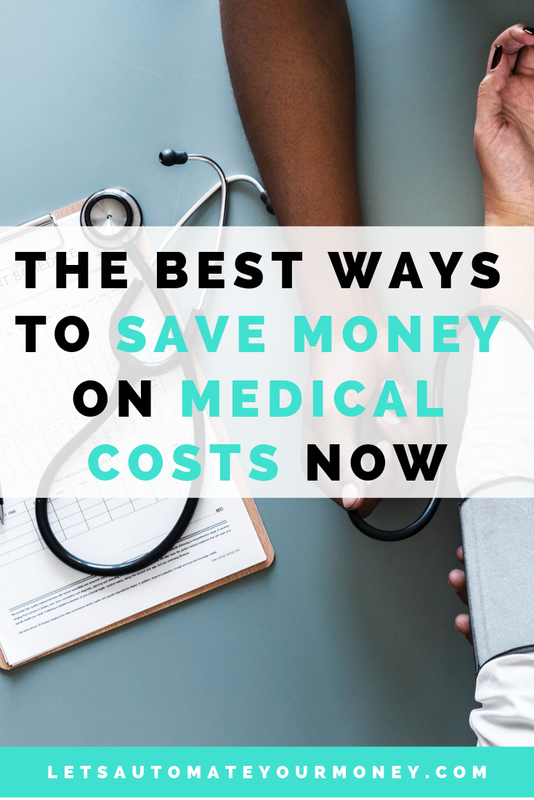 Sometimes it’s just out of our control and we have to spend money on medical costs, but there are ways to reduce the cost or even avoid them altogether. Emergency Room prices are so high it’s almost inconceivable how they can ethically charge that much, but they do. Oddly enough in the US we have to avoid the emergency room at all costs since they charge so much. To save money try to avoid emergency room visits unless the you are facing a life threatening event. The urgent care facility near you can do many things an emergency room can do for a fraction of the cost. In fact, try to go to a general doctor if possible for even lower prices (sometimes). Don’t use hospitals for general services if possible. Hospitals are so overpriced that you are better off trying to find the same services at outpatient centers or even doctors offices if they can perform the same treatment. Take advantage of the “Obamacare” rule that forces insurance companies to pay for one preventative healthcare visit per year. I use this annually to complete a physical so that I can be sure I’m in good health prior to any costly doctor visits. Doctors are known to file false claims and errors all the time to insurance companies. If you’re not watching you could be charge for things that you did not request in the first place. Watch your claims from your health insurance company to make sure that they are charging you for the right treatments. Saving money in our overpriced health care system is tough, but there are ways to save money. The next time you or someone you love needs to go to the doctor remember some of these tips to save money.